Entrance to the Deming Homestead Eagle Park. Wayne read in the local paper about Bald Eagles congregating to feed along the Nooksack River not too far from Bellingham. We decided to take an afternoon drive to see if we could find some. During our search up and down the river, we stopped at the Deming Homestead Eagle Park. This little park is a hidden gem right on the North Fork of the Nooksack River. As the name implies, the land was donated by a local farming family. Giving the river the ol' eagle eye for a tasty meal. It's well maintained with gravel trails, a wooden bridge, grassy areas, lots of trees, benches, and picnic tables. From November through February, Bald Eagles come here to feed on the chum salmon that swim up the adjacent Nooksack River to spawn. We were there just in time to see a few Bald Eagles, a Great Blue Heron, a small flock of Mallards, and an American Dipper working the floating wood debris for a meal. Since eagles come here seasonally, we were surprised to find two nests up in the bare branches of two tall trees and an eagle sitting nearby. Eagle nests high in the branches. High water lapping at the edge of the park trail. The day was overcast, but signs of spring were already evident with buds already showing on the willows along the riverbank. Willow catkins (small dense flowers) bloom early in spring, well before other flowering plants. Early opening gives them an advantage for pollination by nectar hungry insects. You can see piles of stumps and logs floating in the water and lodged on the gravel bars along the meandering river channel. The gravel beneath is where the salmon spawn and lay their eggs. The jumbled wood piles provide protection for the eggs and developing fry. On this visit, the water level was quite high. Strolling along the park trail. To get to the Deming Homestead Eagle Park from Bellingham, exit Interstate 5 on Sunset Drive and head east. Sunset turns into the Mount Baker Highway that follows the Nooksack River into the highlands. Close to mile 15 you will find Truck Road (on the right). It's easy to find because signage along the road is excellent. Go about half a mile on Truck Road and you will find the park on the right. For the last three years, Wayne and I have settled into a cycle of winter vacation trips to find sun and sports events. Along the way we've learned a few things that make our trips more fun and stress free. Plan ahead. Making reservations for airlines and hotels well in advance can result in substantial savings. Pick a hotel within walking or public transportation distance of the places you want to visit. Also, check to see if your hotel offers airport and around-town shuttle bus transportation. For sportscations, purchase tickets directly from colleges or professional teams the day they go on sale. You can get great seats from resellers like StubHub, but you may pay twice as much. Pay a little extra to check a bag and carry a Hotel Traveling Meal Kit. We like to eat out, but it can be hard on the waistline as well as the pocketbook. Here's what we carry so we can have breakfast, snacks, and dinner in our room. I've done it with a carry-on using plastic cutlery, but that doesn't leave much room for clothes. Get a grocery store discount card for your destination and keep it for future trips. 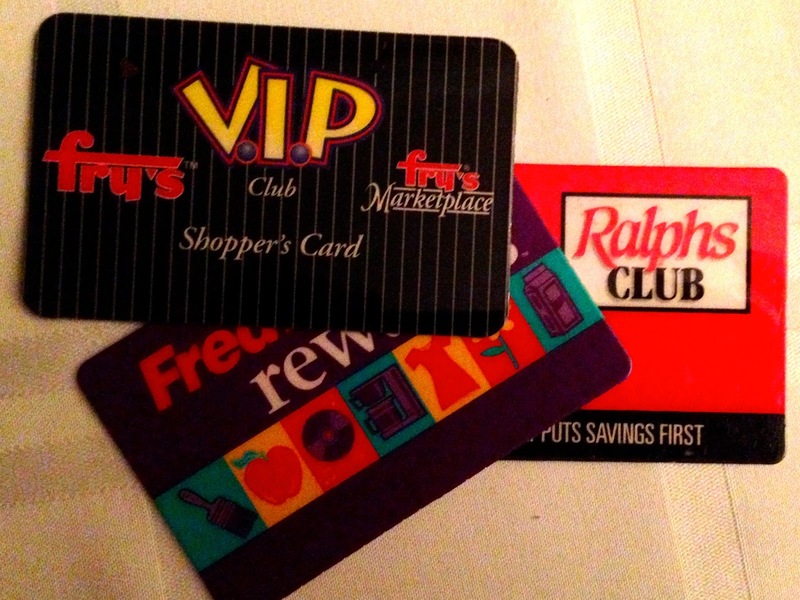 Why pay full price when free cards give you lower prices. Grocery store delis have items you can purchase for dinners in your room. We like baked chicken, tuna salad, cooked spaghetti, meatballs, and lasagna. Many hotels have a small refrigerator and some have microwave ovens. Round out hotel room dinners with salads in a bag with dressing, deli salads, fresh fruit, or even pie. Or make it a special evening, get a bottle of wine and don't worry about a designated driver. Many hotels offer a free breakfast. If not, purchase hard boiled eggs, muffins, cereal, berries, bananas, or apples with peanut butter. You can make coffee in the room, but we like to splurge with coffee and cream from the hotel restaurant or a Starbucks. Large cartons of milk are hard to fit into a small fridge. We like to get individual untra-pasturized milk cartons. One small carton gives us enough for two bowls of cereal. I can't find it everywhere, so I put some in our checked bag. Pack a collapsible cooler bag. It comes in handy for carrying perishables from hotel to hotel, picnics, or to keep food fresh if your hotel doesn't offer a refrigerator. I have a plastic tray that fits in the bottom so melting ice doesn't make a mess. With it's lid, it doubles as a carry case for my utensils and condiments in the suitcase. Turn off the TV and Internet as much as possible, and get out and see all that your vacation destination has to offer! Wayne and I went to see the movie Everest when it was in town. It depicts the 1996 disaster for two guided climbing parties trying to summit the 29,029 foot peak. Since then, I've read quite a few books about the 1996 climbing tragedy and other climbing accounts. Here's my updated list. Wayne and I stay at the movies through the credits. 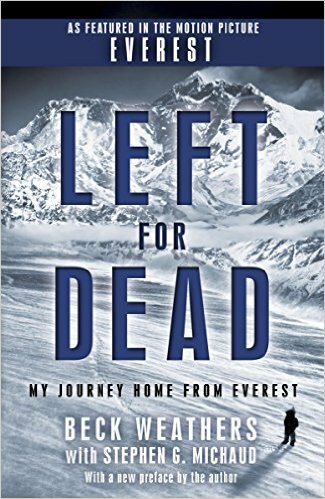 Towards the end, I read the movie was based (at least in part) on the book Left for Dead: My Journey Home from Everest by Beck Weathers. The movie focused more on the time that Rob Hal's guided team spent on Everest preparing for and climbing the challenging peak. Beck Weathers' book is more about his climbing experiences that lead up to the Everest climb, how climbing helped him counteract depression, how he struggled back to camp after being left for dead on the freezing slopes, and his miraculous evacuation and long battle to recover from extreme frostbite. Next we saw the movie Meru. It was a documentary of the climb led by Conrad Anker with two partners, Jimmy Chin and Renan Ozturk. Their two quests to climb the difficult Shark's Fin to the top of Mount Meru in Northern India was a self-filmed epic. During the film I learned that Anker discovered the body of George Mallory who disappears with his climbing partner Andres "Sandy" Irvine while attempting to be the first to summit Everest in 1924. 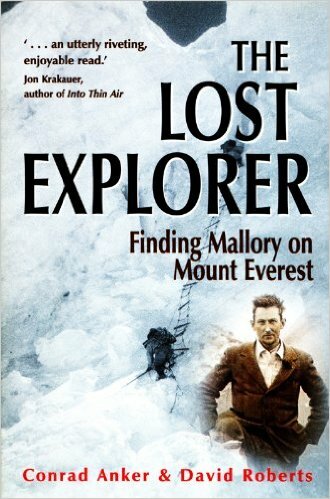 This led me to Anker's book The Lost Explorer: Finding Mallory on Mount Everest. 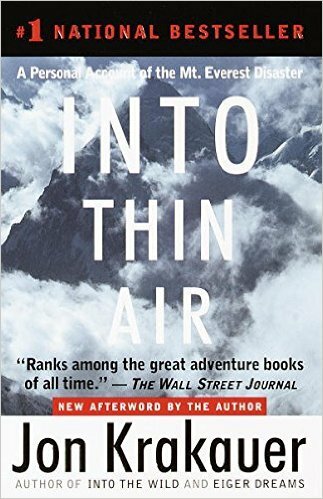 This book gave a me greater historical perspective to Everest and the men and women who have tried to survive the challenge of its "death zone." Jon Krakauer was invited to participate in the ill-fated 1996 guided climb as a journalist representing Outside Magazine. In addition to his magazine article, he put the experience into book format, the result called 's Into Thin Air. Jon was sponsored to write a story about the safety of commercial guided climbing groups. An experienced climber, he'd never before tackled such an extreme high altitude peak. Krakauer's book covered the extensive preparation and the climbing process. He was and one of the few clients to both summit and survive the experience that fateful day. 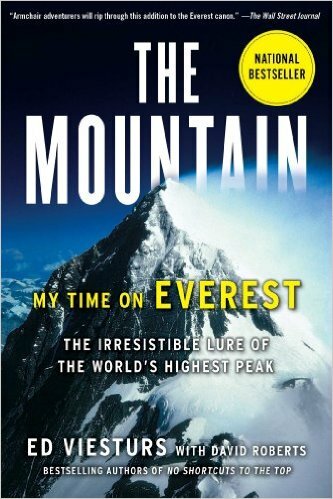 I also read The Mountain: My Time on Everest by Ed Viesters. Ed was the first American to summit all fourteen 8,000-metre mountains around the world. He participated in eleven Everest expeditions, of which seven resulted in reaching the summit. He was part of the IMAX Expedition in 1996 that played a role in rescue efforts for Rob Hall's ill-fated team chronicled in John Krakauer's Into Thin Air. Ed is one of the rare climbers who tackles ascents without the aid of supplemental oxygen. The Mountain gives a brief history of Everest, but focuses mainly on Ed's many expeditions to Everest, and how the experiences have shaped his life on and off the mountain. 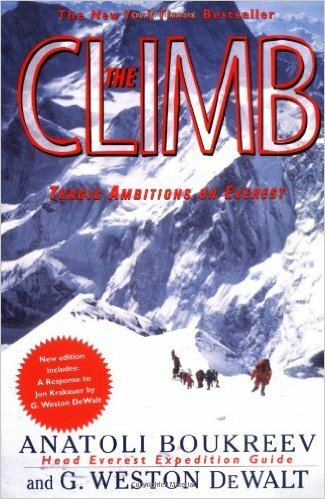 The most recent book I've read was The Climb: Tragic Ambitions on Everest by Anatoli Boukreev and G. Weston DeWalt. Anatoli was the lead climbing guide on the Mountain Madness team that was part of the 1996 Everest climb. Scott Fisher was expedition leader and the only member who died that May on the mountain. Anatoli was heroic going out after dark in a blinding snowstorm to save the lives of members from his party, and others from Rob Hall's. Before Anatoli's tragic death in an avalanche a few years later, he was attacked by Jon Krakauer for climbing without oxygen and going down to camp before the client-climbers. If he hadn't, many more would have have been lost. I'm glad I read this book last to get a different perspective than presented in Into Thin Air. There have been many books written since Everest's designation as the world's tallest mountain in 1856. There are even more books about the 1996 disaster that took the lives of nine climbers, guides and Sherpas from the two ill-fated parties. I may read more in the future, but these were a good start. I'll keep adding to the list as I go. Everest is the 1998 IMAX documentary directed by mountaineer David Breashears. The IMAX filming party was climbing and filming on Everest at the same time as the 1996 tragedy. It's available on line and rebroadcasts on television on occasion. Everest: Beyond the Limit is a 2006 documentary produced by The Discover Channel. Everest: The Death Zone is a 1998 documentary produced by NOVA. The Wildest Dream is a National Geographic documentary about the 1999 discovery of George Mallory's body. That's the title of a signature song by Randy Newman about Los Angeles. USC basketball at the Galen Center. Flew Alaska Airlines to Palm Springs, rented a car, and drove through some Santa Ana winds to Banning and a great dinner at Russo's Italian Kitchen. Had great rooms (one mini-suite next to the pool) at the USC Radisson and right next door to Galen Center. Went to three USC women's basketball games. Staples Center for a Lakers game. Went to two USC men's basketball games, one with a very exciting final 4th quarter win over Arizona State. Rode the Metro Rail, the easiest and cheapest way to get around town. Saw the Lakers smash the Phoenix Suns. The cheer "We want tacos" encouraged the win. We cashed in our coupons at the Jack in the Box on Colorado Blvd. in Pasadena. Took a two day "vacation within a vacation" in Old Town Pasadena with the Hilton as our headquarters for strolling post Rose Parade Colorado Blvd. Had a great home-style breakfast and lunch at the Tallyrand, a traditional coffee shop in Burbank recommended by our good friend Jeanne. Used our old Vons grocery discount card to get deli meals for our hotel room. One good way to keep from eating to much while traveling. USC for sun and people watching. Drove past Wayne's former apartment complex in Burbank as rivers of muddy water gushed down the hilly streets during an El Nino downpour. And we got lots of sun sitting in the USC central quad between storms. After all, this was a "suncation" as well as a "sportscation." Got to store up that Vitamin D before we go home to more winter up the lake. Downtown Los Angeles skyline on a clear January day. Wayne did a great job as our travel agent. Everything went smoothly, and we made it through one of the first major rain storms of the El Nino season for Southern California. As an expat, I am rooting for them to end their terrible drought. We're in Southern California for a "suncation." We plan trips well in advance to get good sports tickets, airline seats, and hotel reservations. But we can't predict the weather, especially during El Nino. El Nino is a weather phenomena that occurs when seawater warms at the equator in the Pacific Ocean. During winter, this spawns wetter conditions in California. California has been experiencing a terrible drought. They need the rain and snowfall in the mountains, but not so much all at once. The skies cleared for our breakfast two days later. We left the USC Radisson in huge pounding rain drops, and freeways slick with oil from millions of cars. We carefully skirted huge rivers of muddy water running down hilly side streets, watching it gush in the air as it rushed into storm drains. On our way to Pasadena for a "vacation within a vacation" from USC sports events, we stopped at a restaurant called the Tallyrand that was recommended by our good friend Jeanne. The Tallyrand in Burbank is famous for its turkey dinners. They cook 200 pounds each morning for their hot turkey sandwiches and dinners. They are also well known for their hearty breakfasts. Wayne and I skipped our breakfast so we would be hungry for a 12:30 arrival at the Tallyrand. Inside we found a cozy coffee shop atmosphere with enough counter, booth and table space for the hungry crowd. Turkey dinner smothered in gravy, yum! Our waitress was bubbly and gave us a little show as she took our order. After all, Burbank is home to many television and movie studios. Wayne and I ordered the $12.00 senior turkey dinner. Wayne got his with homemade soup and blueberry muffin. I got salad and sourdough. The turkey came with dressing, mashed potatoes, gravy, and cranberry sauce. It was like a bit of Thanksgiving on a cold and rainy day, just what we needed. We returned for their $6.20 breakfast special. If you are in the Burbank area, and want a good homecooked style meal, head on over to the Tallyrand at 1700 W. Olive in Burbank. Whether it's breakfast (yes, we had to go back again), lunch or dinner, you won't be disappointed. Do you like to watch airplanes? Do you want to make Southern California a destination, but want to avoid busy airspace? Want a great hamburger with a view? Come to Cable Airport. 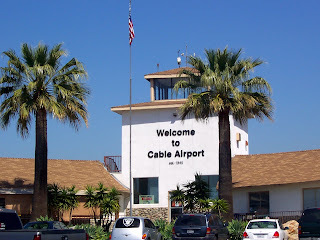 Cable, in Upland, California, is the largest privately owned public-access airport in the United States. Dewey and Maude Cable began its construction in 1945. At the time, the area was rocky, rural, scrub land. It is still rocky, but no longer rural. Runway 6/24 is lighted and 3864 feet in length. 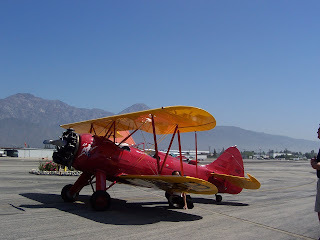 It parallels the nearby the San Gabriel Mountains, with headwind landings about 90% of the time. Nice! 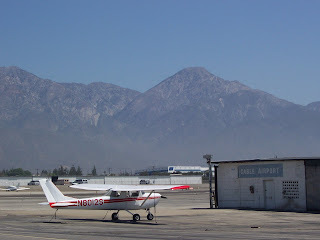 Arrival from the north through Cajon Pass and along the San Gabriels keeps you out of Ontario International Airport’s Class C airspace. It’s still a good idea to talk to ATC because it gets really busy along this route. 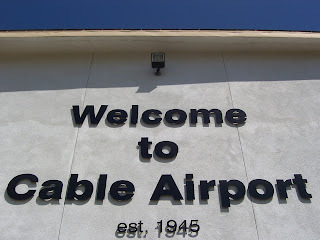 Cable Airport is uncontrolled and averages 252 operations daily, 80% from the 97 aircraft home based here. There are two IFR approaches: VOR-A and RNAV (GPS) RWY 06. Coastal fog can reach this far inland and smoggy afternoons can make navigation challenging. The Cables were well known for their hospitality. Foothill Flying Club continues the tradition. Rent a plane, take lessons (ground or flight), purchase pilot supplies or get information about the area. They are always ready to help. If you arrive on a weekend, you'll hear our friend David manning the Unicom. He also teaches ground school classes in the evenings. 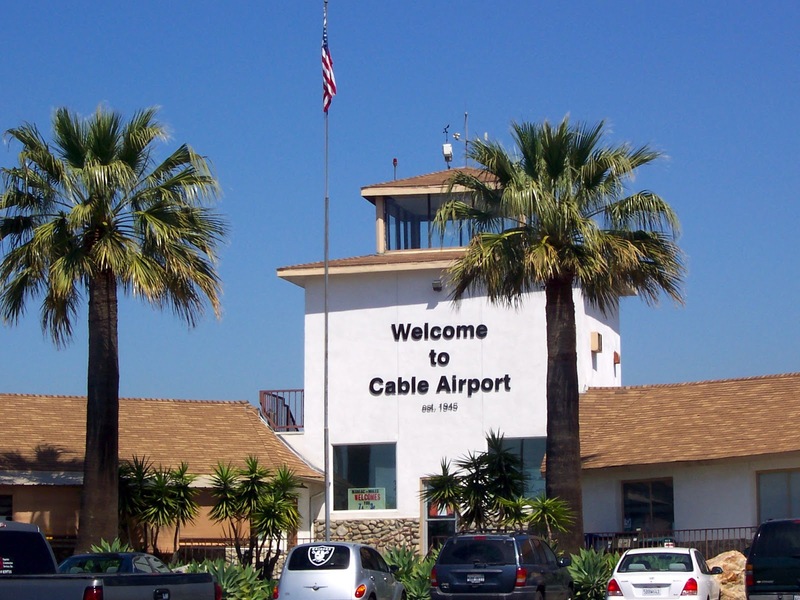 Cable is a full-service airport. Foothill Aircraft offers parts, FAA certified service, and airplane sales. When we were there, two Piper Arrows were in the sales lot. They were nice, but of course we like our 997 better. Also on the field are: the Av8r General Store with snacks, clothing, and pilot supplies; very reasonable gas prices at the fuel island or via truck (check the website for current prices); and E.A.A., 99s, and Civil Air Patrol chapters. If you plan to stay, try the Doubletree Hotel in Claremont on Historic Route 66 (Foothill Blvd). A Yellow Cab costs about $15. The Old Schoolhouse is next door with restaurants and shops. Got a hankerin’ for lots (and I mean lots) of good Italian food? Buca di Beppo Restaurant is out front. Maniac-Mikes restaurant is on-field. It’s open 7-3 daily with indoor and outdoor seating. Forget the $200 hamburger. Get Mike’s Big Burger and fries for only $7.25. This place is a favourite with locals and pilots alike. There's plenty of airplane parking out front, and car parking next to the terminal building. It's so good to see such an active general aviation airport these days.